Perfect for small bathrooms and small rooms, the industrial luxe Black Tall Bathroom Mirror With Shelf is a stylish storage alternative to traditional mirrors. 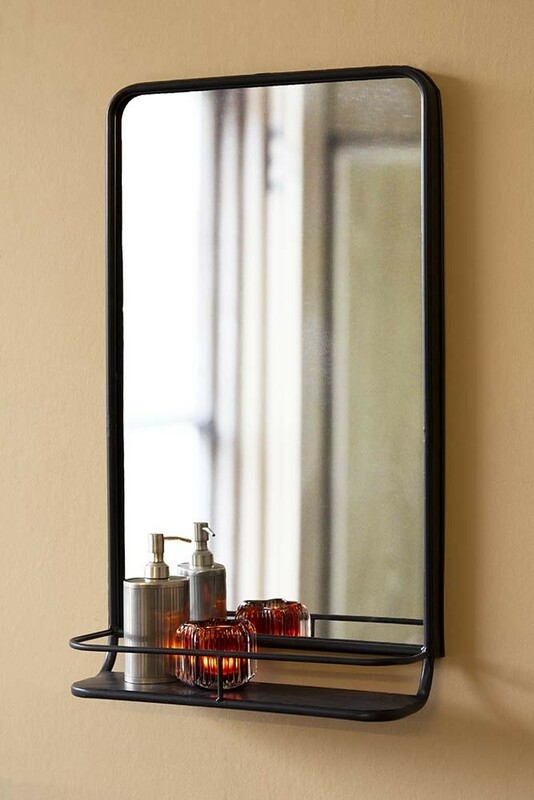 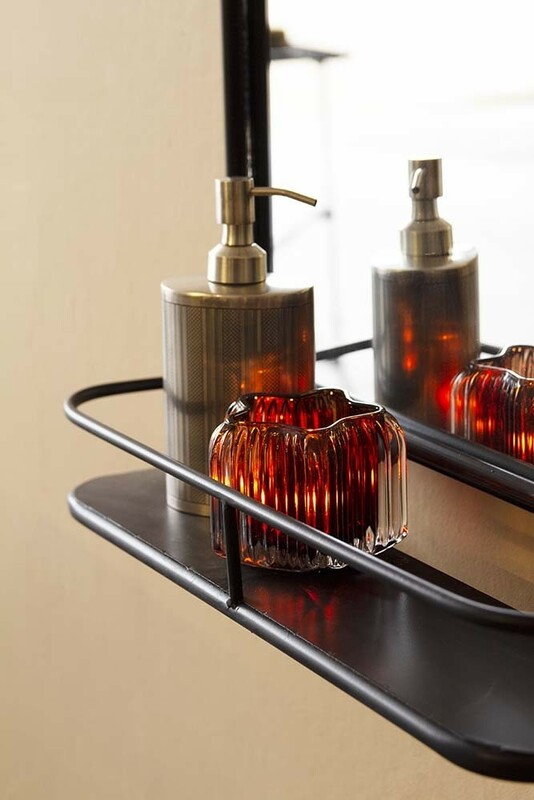 Super luxe and oh so chic the stylish rectangular mirror has a rustic black metal surround and black metal shelf and bar to keep all your bathroom essentials and display items in place. 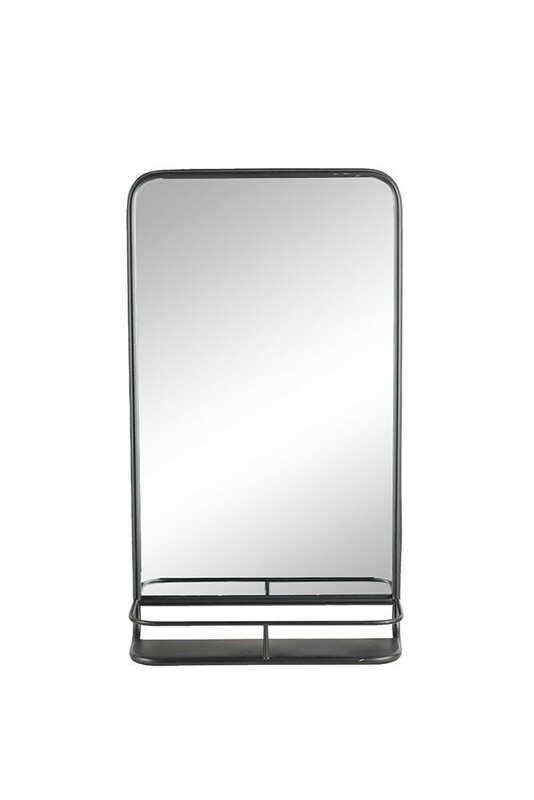 The black painted iron mirror measures 45cm in width x 17cm in depth x 80cm in height.